Woollyhugs > Latest.. > Auction > Christmas Craft Auction 2018 > Item 341. Christmas wreath for the Wine lovers!! Item 341. Christmas wreath for the Wine lovers!! An absolute pleasure to share my wine cork collection gathered over <ahem> time in this way!! To be fair both of us here have drunk our way through many of these bottles! Each cork is used, some a bit battered, most still giving off the scent of wine! Each wreath has 48 corks on a Christmas red crocheted covered base. The tartan ribbon is easily untied if you decide a cork wreath is for life not just Christmas. The wreath base size is 32cm in diameter. 341. Christmas wreath for the Wine lovers!! An absolute pleasure to share my wine cork collection gathered over <ahem> time in this way!! To be fair both of us here have drunk our way through many of these bottles!Each cork is used, some a bit battered, most still giving off the scent of wine! Each wreath has 48 corks on a Christmas red crocheted covered base. The tartan ribbon is easily untied if you decide a cork wreath is for life not just Christmas. The wreath base size is 32cm in diameter. item name : 341. 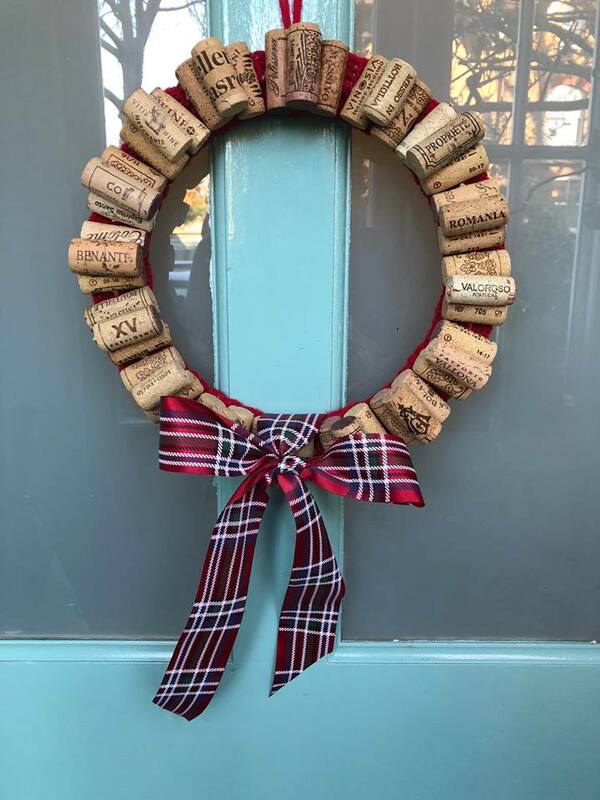 Christmas wreath for the Wine lovers! !